From time to time, when I am tired of remembering what to do in real life, I get to think about my old games of my childhood. I still remember that clunky thing called a “Game Boy” that swallowed up 4 whole AA batteries just to give me a few hours of fun. Then,the picture on it faded and I had to feed my beast again for an extra moment of fun. Now, if there was a game that was specially interesting on the system, it was the Astérix & Obélix. 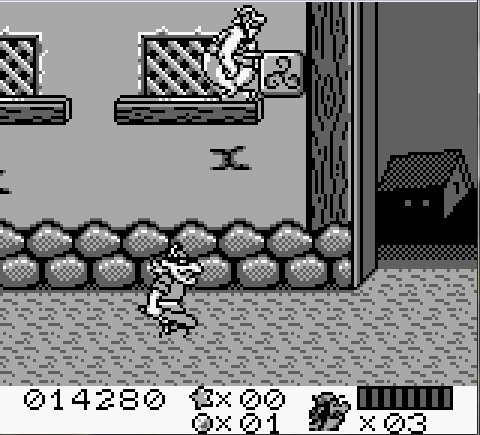 Released in 1996 alongside a computer and a SNES version, it was based of the popular comic with the same name. In it you play either as the small but smart hero Astérix or the big and roman-beating Obélix. You will travel through Gaul, England, Greece and Spain to beat up as many romans as possible while winning the Olympics and a Rugby match, outrunning a bull and cracking the London Tower and a bank in Switzerland (isn’t that great?). This was pure platforming joy. After Mario Land 2 it was the second game of this kind I beat as a kid, and I can remember the love with which this game was made. It was jumping around with interesting mini games on the way to change the pace. This made the game glorious, although many players never got to play it. I really lament most people missed that game, since it was definitely an excellent game. Now, what stands out for this game was the graphics. Considering it was the old block we love to call Game boy, it had very clear images of what you were fighting and what you were traveling in. Other features that were good was the language selection, which made the game accessible for anyone not capable of speaking english. Infogrames really showed their capability as programmers back then by making it open to anyone interested in it. I definitely recommend buying that game, if you have a chance to get you hands on it. The whole cartridge is an experience beyond of what one could expect, and it filled many joyful hours for me. This is truly a gem that was forgotten, since the two celtic warriors were mostly unknown to the american public. The only way I got it was when I lived in Germany. When I saw it I HAD to buy it, and my parents (oddly) accepted on buying me this game… that much trust they had in the franchise they themselves loved so much. 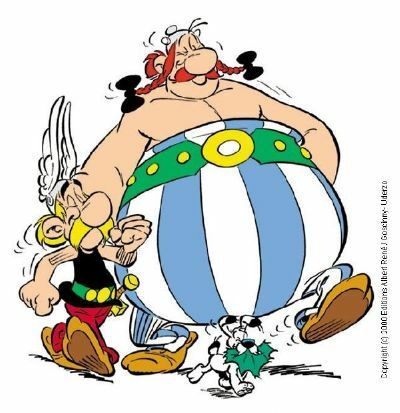 As a side note, I am myself a huge Astérix and Obélix fan, having read almost all (the newest one I have not read because I have not been able to get my hands on it – yet). Infogrames managed to print that love into code and give the gamer an interesting experience and the ability to use both characters. Definitely worth playing that gem! Now this series is not the one I had planned to create when I promised it, but the other one needed a little research extra I was not able to give at the moment. In any case, I am hopeful to be able to publish the first part next week. Hopefully! Asterx and Obelix had a huge following in South Africa! I remember when I moved to London, I thought it would be even more popular over here, but bizarrely, it’s not. I’ve hardly met anyone in England who’ve heard of them. I discovered this because when I was in Denmark, I found a cafe for breakfast one morning that had every single inch of their walls covered in pages from the comics, it was so impressive and exciting that I couldn’t wait to tell everyone back at my workplace in the UK…. but how sad it was that no one knew about them and could understand my excited. I was shocked too. I mean, the people who wrote the comics are just over a tiny channel. I do understand. After this game I found none better, I never heard of an arcade. 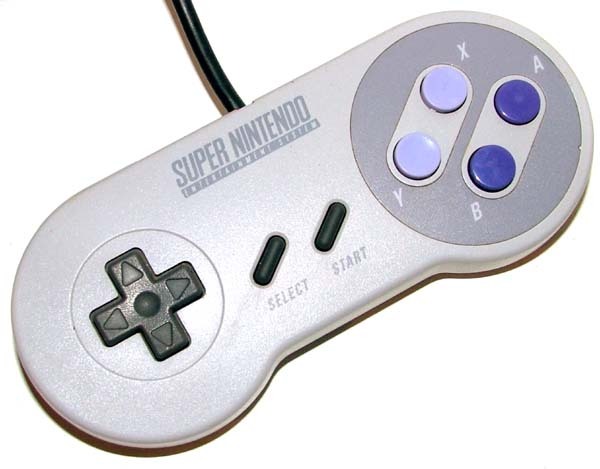 But I still am seeing if I can find a SNES version to try that one out. Cudos to the lost A&O fan all the way over there! It is hard to be a fan of that game 😛 . BTW, do you also know Lucky Luke?